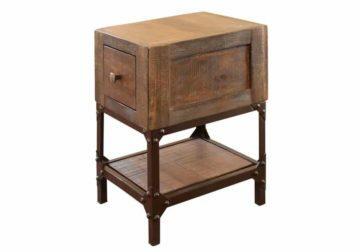 Complete your living room with this unique chairside table. Constructed of with a metal base and solid wood this piece will infuse your home with an industrial and rustic charm. 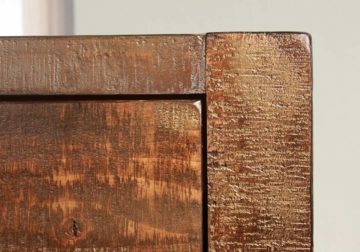 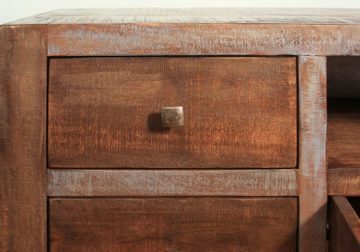 A distressed finish adds rustic appeal to the table. One drawer and one shelf provide convenient places to keep coasters, reading glasses and more.